For the World War I German submarine, see SM UB-40. The band's line-up was stable for nearly 29 years, from March 1979 until January 2008, when frontman Ali Campbell left the band, followed shortly thereafter by keyboardist Mickey Virtue. Another member, Astro, remained with the band until November 2013, when he departed the original band to team up with Campbell and Virtue in a new version of UB40. In 2014, legal advice was sought by the original band (now consisting of remaining co-founding members drummer Jimmy Brown, guitarist Robin Campbell, bassist Earl Falconer, percussionist Norman Hassan, and saxophonist Brian Travers, along with new vocalist Duncan Campbell) who took action against the group containing Campbell, Virtue, and Astro over usage of the band name, due to its being used by both parties. I lived in Balsall Heath in South Birmingham which was a predominantly immigrant area. The first generation of Windrush kids were all my friends, and I grew up with Indian and Jamaican friends. So the music of the streets was Indian music, which I love - Mohammad Rafi and Asha Bhosle and all that - and reggae. —UB40 vocalist Ali Campbell interview with the BBC in 2018. The band members began as friends who knew each other from various schools across Birmingham, England. The name "UB40" was selected in reference to a form issued to people claiming unemployment benefits from the UK government's Department of Employment. The designation UB40 stood for Unemployment Benefit, Form 40. The origins of what would become UB40 began when in mid-1978 guitarist Ali Campbell, together with the rhythm section of drummer Jimmy Brown and bassist Earl Falconer, began rehearsing charting reggae songs in addition to some of their own original compositions. They were soon joined by several of their friends, firstly percussionists Yomi Babayemi and Norman Hassan, and then saxophonist Brian Travers and keyboardist Jimmy Lynn. Robin Campbell, although initially reluctant to commit to forming a band with the others, was invited to join once again by his brother and bought a guitar with which to do so in December of that year. Once Robin had joined the others in their jamming sessions, the eight musicians formed a band, deciding on the name 'UB40' after a friend suggested it was an appropriate name given the unemployed status of all of the band members. Prior to this, Travers had work as an electrical apprentice for NG Bailey; whilst Robin Campbell had been an apprentice toolmaker. This lineup of the band lasted long enough to play their first show at the Hare & Hounds pub in Kings Heath in February 1979 and one other, before the band underwent its first lineup change in the form of Babyemi and Lynn leaving the band and Mickey Virtue joining in place of Lynn. A month later UB40's classic lineup was rounded out with the inclusion of percussionist and vocalist Astro. Astro had previously been working for Duke Alloy's sound system attending reggae dances in Birmingham. Before some of them could play their instruments, Ali Campbell and Brian Travers travelled around Birmingham promoting the band, putting up UB40 posters. Their sound was created and honed through many long jam sessions at various locations in Birmingham. Their first gig took place on 9 February 1979 at The Hare & Hounds Pub in Kings Heath, Birmingham for a friend's birthday party. This was commemorated in October 2011 by the unveiling of a plaque at the venue, indicating the band receiving the Performing Rights Society's Music Heritage Award. UB40 caught their first break when Chrissie Hynde saw them at a pub and gave them an opportunity as a support act to her band, The Pretenders. UB40's first single, "King"/"Food for Thought" was released on Graduate Records, a local independent label run by David Virr. It reached No. 4 on the UK Singles Chart. The title of their first album, Signing Off, indicates the band was signing off from, or ending, their claim for unemployment benefits. It was recorded in a bedsit in Birmingham and was produced by Bob Lamb. Norman Hassan said of the recording: "if you stripped my track down, you could hear the birds in the background." This is because his tracks were recorded outside in the garden. Signing Off was released on 29 August 1980. It entered the UK Albums Chart on 2 October 1980, and spent 71 weeks in total on the chart. Signing Off is now a Platinum album. 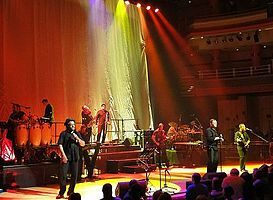 As UB40 grew in popularity, they encouraged and supported local musicians and bands from Birmingham, such as Beshara, often bringing them on tour. After great success in the UK, UB40's popularity in the US was established when they released Labour of Love, an album of cover songs, in 1983. The album reached No. 1 on the UK Albums Chart and No. 8 on the Billboard 200 in the US. The album featured the song "Red Red Wine", a cover version of a Neil Diamond song (in an arrangement similar to that of Tony Tribe's version); it stayed on the charts for over 100 weeks. Three years later UB40 performed at the Birmingham Heart Beat Charity Concert 1986. In 1987 Ray "Pablo" Falconer, producer of UB40 music, died in a car crash. His brother, Earl Falconer, the band's bassist, was driving with nearly twice the legal limit of alcohol in his blood. Earl was sentenced to six months imprisonment in June 1988 and banned from driving for three years. Their most successful worldwide single release is their reggae/pop version of "(I Can't Help) Falling in Love With You", which was the main title to the 1993 Sharon Stone movie Sliver; it was a number one hit across Europe and in the US. In 1995 they covered the Stevie Wonder song "Superstition" for the Eddie Murphy movie Vampire in Brooklyn and it appears on their album The Best of UB40 – Volume Two which they released that year. The group also made a guest appearance in the 1997 feature film Speed 2: Cruise Control. UB40 are featured in the 1988 film The Yob. UB40 toured South Africa in July 2007 and headlined the Live Earth concert at the Cradle of Humankind, near Johannesburg. In 2003, UB40 and the United Colours of Sound recorded “Swing Low, Sweet Chariot” as the official anthem for the England national rugby union team. Following England's victory in the 2003 Rugby Union World Cup it reached number 15 in the UK Singles Chart. On 24 January 2008 it was announced that Ali Campbell would be leaving the group after 30 years. It was originally stated that this was in order for Campbell to concentrate on solo projects, but Campbell later said he was leaving due to management and business disputes. The remaining seven members released a statement saying: "Ali made a very simple decision; he chose to pursue and put his solo career over and above continuing to work with UB40 after February 2008. It’s as simple as that". Mickey Virtue departed shortly afterwards citing the same issues that Campbell had as reasons for his departure. It was reported by some Birmingham newspapers on 13 March 2008, that Maxi Priest would be the new lead singer of UB40 and had recorded a cover of Bob Marley's "I Shot the Sheriff" with the band, based on information from an unnamed "source close to the band." Priest had joined UB40 on their arena tour in 2007, culminating in sell-out shows at the NEC Birmingham in December. Another local newspaper reporting that Maxi Priest would be the new UB40 frontman, also included a statement from band spokesman Gerard Franklyn which contradicted this claim: "Maxi is collaborating with the band to record material but no decision has been made to replace Ali Campbell with one definitive singer. The reports are half correct he will be appearing with them for this new recording." In April 2008, the BBC reported that Campbell was to be replaced in the band by his brother Duncan, with reggae singer Maxi Priest also bolstering the line-up on tour. The band released their next album, TwentyFourSeven, UB40's last with their classic lineup, by way of a free insert in The Mail on Sunday's 4 May 2008 issue. The newspaper sold nearly three million copies. This led to a backlash when the full 17-track version was released 21 June 2008, and most of the big retailers refused to stock it. It failed to reach the Top 75 in the UK, which was a first, as all their official albums had previously made the Top 50 on the UK Albums Chart. Their next release, on EMI, was a collection called Love Songs, which was a compilation of hits mainly from the Labour of Love series and all featuring Ali Campbell on vocals – it reached number 3 in the UK. The band toured the US, which included their first show at the Hollywood Bowl. In 2009 the band released the first new album with their new lead singer Duncan Campbell; another in the Labour of Love cover series entitled Labour of Love IV. The album was in the charts for only two weeks reaching number 24. During the 2009 US Tour UB40 offered fans live concert recordings on USB wristbands. The wristbands also included the Dub Sessions remix album and photos. In 2011 five founder members of the group and directors of their DEP International label, had bankruptcy proceedings started against them relating to debts of the record label. In October 2011 Travers, Wilson, Hassan and Brown were declared bankrupt. Former member Ali Campbell was also declared bankrupt. In 2013 a new album, Getting Over the Storm was announced, their first since 2010 and Labour of Love IV. In November 2013, UB40 revealed dates in anticipation of their UK Tour in early 2014. The announcement of the tour follows the success of the band's latest Top 30 album, Getting Over The Storm, which was awarded BBC Radio 2's 'Album of the Week' accolade and received 5-star reviews from the UK's music press on its release in September 2013. On 22 November 2013 Astro announced in a statement that he had left the band, describing it as a "rudderless ship" and criticising the "serious lack of communication between the band and management" and the country-orientated direction of their latest album. Astro joined former UB40 members Ali Campbell and Mickey Virtue on stage at the indigO2 Arena in London on 6 December 2013, and on 17 January 2014 the trio announced on their website that they were in the studio recording new music. Ali Campbell was highly critical of his replacement in UB40, stating "I sat back for five years and watched my brother Duncan murdering my songs." Ali Campbell toured as UB40 with Astro and Virtue over the summer, including an appearance at the Brentwood Festival. The new album Silhouette, featuring the trio was set for release on 6 October 2014. In December 2014 Ali Campbell claimed that he would be prepared to go to the High Court in London over the matter rather than settle out of court. UB40 were influenced by the many blues parties they attended as teenagers in the multicultural Balsall Heath area of Birmingham. Their love of ska, reggae and early lovers rock inspired such original tracks as "King", "Madam Medusa", "Food for Thought", "Signing Off" and "One in Ten". Their early musical style was unique, with a heavy influence of analogue synthesisers, psychedelic rock guitar, saxophone and dub producer techniques. UB40 are one of the most commercially successful reggae acts of all time in terms of record sales (over 70 million), chart positions and touring schedule. During their three-decade long career, they have been performing sell-out shows worldwide and headlining the Reggae Sunsplash music festival in Jamaica, as well as spreading reggae to Russia, South America, etc. They have performed twice at the Night of the Proms, in 2000 and in 2006. They have been nominated for the Grammy Award for Best Reggae Album four times, and in 1984 were nominated for the Brit Award for Best British Group. In October 2011, UB40 were commemorated with a Heritage Award, a ceremonial plaque from the UK's PRS for Music. A plaque was placed at the Hare & Hounds Pub in Birmingham, England, the location where they played their first gig. All three of their UK number one hits and four of their five US top ten hits were cover versions. UB40 collaborators include: Pato Banton, Madness, Bitty McLean, Chrissie Hynde, Maxi Priest, Robert Palmer, Hunterz, Japanese artist Mikidozan, French artist Nuttea, Lady Saw, Afrika Bambaataa, 808 State. With 214 weeks spent on the UK singles charts over the course of the 1980s, UB40 and Madness hold the record for most weeks spent by a group in the 1980s UK singles charts. Referencing the group's longevity, Ali Campbell has said that the group was fortunate in choosing a relatively young genre, as reggae "... hasn't outlived its own cool like jazz has". Terence Wilson (born 24 June 1957 in Birmingham), better known by his stage name Astro, is a British musician, rapper, and toaster, who was part of UB40 from 1979 until he left the group in November 2013. Duncan Campbell (born 3 April 1958 in Birmingham) is an English musician and current lead singer of the reggae band, UB40. He joined the band in 2008 after the departure of his brother Ali Campbell, the former UB40 lead singer. Current bandmate Robin Campbell is also his brother, and he is the son of the late folk singer Ian Campbell. Campbell sang in a harmony group with his brothers as children and performed with their father on stage. He also recorded a reggae album in Jamaica for his brother Ali's record label, but it was never released. He was a professional spoon player. "I was the only professional spoon player in the country registered with the Musicians' Union – until they registered me as a vocalist," said Campbell. He also worked as a casino manager in Barbados, ran a fish and chip shop in Perth, Australia, and has worked as an actor. 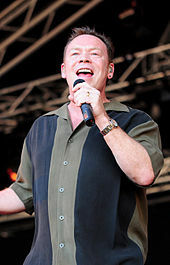 On 24 January 2008, UB40 lead singer Ali Campbell announced that he was leaving the band after a dispute with the management; UB40 announced that they would carry on. 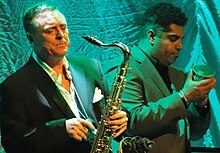 On 30 April 2008, UB40 unveiled Duncan as their new lead singer. Duncan was offered the position of lead singer in 1978. However, he turned it down at the time, and said that he "wouldn't get the chance in another 30 years". Ali Campbell was "disappointed but didn't object" to him joining UB40. When asked why he did not join UB40 in 1978, he joked because they were "crap" and that he "was too smart for them and he knew that they would get nowhere". In 2014, Ali formed a rival version of UB40 with Astro and Mickey Virtue. He said of his brother's singing, "I sat back for five years and watched my brother Duncan murdering my songs. We're saving the legacy". Earl Acton Falconer (born 23 January 1959 in Meriden, Warwickshire) is a British bass player and singer in UB40. Falconer also co-founded the bass music label Circus Records alongside Flux Pavilion, Doctor P and DJ Swan-E.
Falconer attended St. Benedict's junior school and Mosely Road School of Art. He was an unemployed plasterer at the time of UB40's formation. Norman Lamont Hassan (born 26 January 1958) is a British musician of Yemeni and Welsh descent who is best known as being a member of UB40 since its foundation in 1978. Norman Lamont Hassan was born in Birmingham to Yemeni and Welsh parents, and attended Park Hill School in the city. He worked as a carpet fitter before joining the band UB40 in 1978. After starting off as percussionist in 1978, he learned the trombone in 1981, when the band decided to add a brass section. He sang his first lead vocal on Labour of Love. He is also known for his on-stage dancing. Like the rest of UB40, he still lives in the City of Birmingham. He is also a fan of the local football club Birmingham City. He has wide-ranging musical tastes, from reggae to soul to opera. In January 2014, Astro, with other former UB40 members, Ali Campbell and Mickey Virtue, announced plans to reform and record under the UB40 name. The band released their new song, "Reggae Music" as a free download in January 2014. In February, with the current group known as UB40 and the newly formed group with Astro as a member both due to perform in Dubai on the same day, the new group announced a name change to UB40 Reunited. ^ a b Sherwin, Adam (30 April 2008). "UB40 reveal new lead singer: Ali Campbell's brother Duncan". The Times. London. ^ a b c d "UB40's Signing On 30th anniversary: a brave face on hard times". Telegraph. 23 May 2018. ^ a b "Five things you might not know about Madness". The News. 23 May 2018. ^ "Legal advice sought in UB40 dispute". Belfast Telegraph. 23 January 2014. Retrieved 18 December 2014. ^ "UB40's Ali Campbell: 'We're still cool'". BBC. 23 May 2018. ^ a b SPIN Media LLC (June 1985). SPIN. SPIN Media LLC. pp. 60–. ISSN 0886-3032. ^ a b Ali Campbell; Robin Campbell (1 June 2006). Blood and Fire: The Autobiography of the UB40 Brothers. Random House. pp. 60–. ISBN 978-0-09-947654-2. ^ Brian Travers. "UB40 & Beshara – Brian Travers on Beshara". ub40.co.uk. Archived from the original on 5 March 2012. Retrieved 15 May 2012. ^ Voland, John; Weinstein, Steve (27 June 1988). "MORNING REPORT: Pop/rock". Retrieved 16 December 2014. ^ Nielsen Business Media, Inc. (19 July 1997). Billboard. Nielsen Business Media, Inc. pp. 65–. ISSN 0006-2510. ^ "UK Charts - UB40". www.officialcharts.com. Retrieved 14 June 2013. ^ "UB40 singer Campbell quits group". BBC News. 25 January 2008. Retrieved 23 September 2010. ^ "Maxi Priest is new singer with UB40". Birmingham Post. 13 March 2008. Retrieved 23 September 2010. ^ "Maxi Priest to join UB40". Birmingham Mail. Retrieved 23 September 2010. ^ "Maxi Priest is new UB40 frontman". Express and Star. Retrieved 23 September 2010. ^ Youngs, Ian (2 May 2008). "UB40 singer replaced by brother Duncan Campbell". BBC News. Retrieved 23 September 2010. ^ "Next week: UB40's new album free". The Mail on Sunday. London. 4 May 2008. Retrieved 23 September 2010. ^ a b c "UB40 Official UK charts". www.officialcharts.com. Retrieved 12 June 2013. ^ "UB40: Folk fans feel the benefit". www.bluesandsoul.com. Retrieved 12 June 2013. ^ "Velvet Rope Forums: UB40 – USB – HOB". Velvetrope.com. Retrieved 23 September 2010. ^ Design, Stephen Clark -. "Ali Campbell: Dub been good to me". www.bluesandsoul.com. 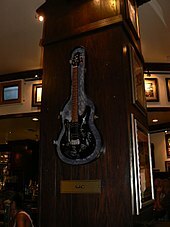 ^ "UB40 fight record label DEP International bankruptcy". BBC News. 7 July 2011. Retrieved 2 August 2011. ^ "UB40 band members declared bankrupt by judge". BBC News. 18 October 2011. Retrieved 18 October 2011. ^ "Ex-UB40 singer Ali Cambell declared bankrupt". www.nme.com. 24 October 2011. Retrieved 7 June 2013. ^ "Ub40 Release Album 'Getting Over The Storm' On 2nd September 2013". www.contactmusic.com. Retrieved 9 July 2013. ^ "UB40 Reveal Dates For 2014 UK Tour". Stereoboard. 4 November 2013. Retrieved 24 April 2014. ^ Jones, Rhian (22 November 2013). "UB40 singer Astro splits from band". Music Week. London, England: Intent Media. ^ Pakinkis, Tom (26 November 2013). "Original UB40 lead vocalists to reunite after 6 years". Music Week. London, England: Intent Media. ^ "UB40 founding members reform to record a new album". BBC News. 17 January 2014. ^ "Interview: UB40 send the crowds wild at the Brentwood Festival". Brentwood Gazette. 21 July 2014. Archived from the original on 13 December 2014. Retrieved 12 December 2014. ^ "THE LEGENDARY VOICE OF UB40 REUNITED WITH ASTRO AND MICKEY". UB40.org. 18 July 2014. Retrieved 18 July 2014. ^ Laws, Roz (13 December 2014). "UB40 singer Ali Campbell says 'let them sue' over long running feud with brother". Birmingham Mail. Retrieved 18 December 2014. ^ "UB40 A to Z DIRECTORY OF SINGERS AND SONGS". Solarnavigator.net. Retrieved 24 April 2014. ^ "UB40: The History". www.ub40.co.uk. Archived from the original on 14 December 2014. Retrieved 17 December 2014. ^ Suart, Paul. "Tributes paid as Ian Campbell, dad of UB40's Robin and Ali, dies aged 79". www.birminghammail.co.uk. Birmingham Mail. Retrieved 17 December 2014. ^ Ali Campbell; Robin Campbell (1 June 2006). Blood and Fire: The Autobiography of the UB40 Brothers. Random House. pp. 10–. ISBN 978-0-09-947654-2. ^ UB40 See Plaque Unveiled at Kings Heath Pub, The Hare and Hounds. Birmingham Post (4 October 2011). ^ Savage, Mark (23 May 2018). "UB40's Ali Campbell: 'We're still cool'". BBC News. Retrieved 23 May 2018. ^ "Astro". Ub40.co.uk. Archived from the original on 6 June 2011. Retrieved 2011-01-29. ^ "Astro quits UB40 band". Jamaica Observer. 23 November 2013. Retrieved 1 March 2014. ^ a b c Youngs, Ian (2 May 2008). "Entertainment | UB40 singer replaced by brother". BBC News. Retrieved 27 January 2011. ^ "Rival band remains true to its roots in reggae". Yorkshire Post. 7 March 2014. Retrieved 9 March 2015. ^ "UB40 official homepage". Archived from the original on 17 November 2007. Retrieved 23 February 2018. ^ "Original UB40 members announce reunion". New Musical Express. 19 January 2014. Retrieved 1 March 2014. ^ "Reunited UB40 Release New Song 'Reggae Music' As Free Download". www.reggaeville.com. 31 January 2014. Retrieved 1 March 2014. ^ "UB40 v UB40 in Dubai: the brothers speak out over reggae grudge match". www.thenational.ae. 24 February 2014. Retrieved 1 March 2014. Wikimedia Commons has media related to UB40. This page was last edited on 7 April 2019, at 06:04 (UTC).